Oftentimes, when one thinks of the Big Island of Hawaii, the first thing that comes to mind is “Volcanoes.” It isn’t surprising that both visitors and locals alike are fascinated with Madame Pele‘s home and her frequent, fiery displays. 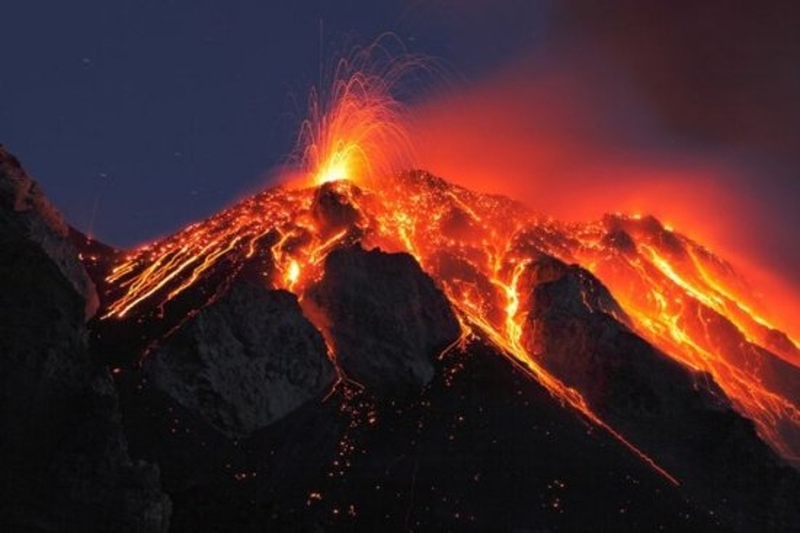 Kilauea Volcano is one of the most active volcanoes on Earth. Located along the southern shore of the island, the volcano, at 300,000 to 600,000 years old, is the second youngest product of the Hawaiian hotspot and the current eruptive center of the Hawaiian–Emperor seamount chain. The eruption of Kīlauea Volcano that began in 1983 continues at the cinder-and-spatter cone of Pu`u `Ō `ō (high point on skyline). In 2008, with little warning, plumes of poisonous sulfur dioxide gas heralded the opening of a new vent at Kilauea’s summit. 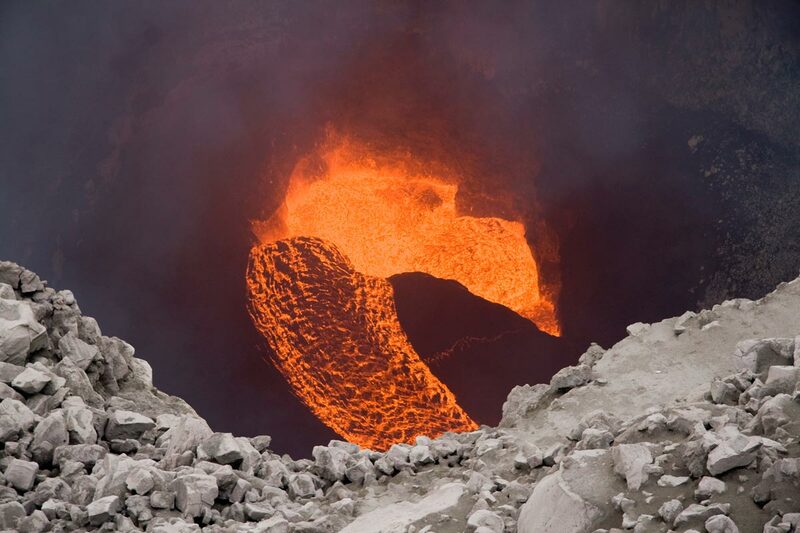 With a new lava lake in the summit’s Halema’uma’u crater, the past four years have been some of the most fascinating. You can view the stunning array of volcanic fountains at Volcanoes National Park. Be aware, however, that the drive to the park is approxiately 2.5 hours away from Hualalai Resort and Hualalai Hale. You may want to pack snacks and plan to make it a full day’s adventure.